Alexis, Madison, and Peyton Sessions. Photo by Dana Goode. Briarcrest high school students and Lakeland residents, Alexis, Madison, and Peyton Sessions have qualified for the TSSAA State Tournament later this month. Alexis and Madison, seniors, placed third in the region in doubles, and Peyton, a freshman, placed third in the region in singles. The Sessions sisters have been playing tennis for five years, and compete at the high school level and the USTA state and southern levels. Alexis is currently competing in the number one position, and Madison competed in the number one position last year. 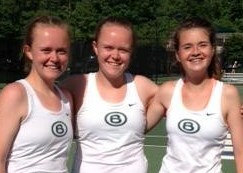 As a doubles team, Alexis and Madison qualified for the state tournament both their freshman and sophomore years. Last year, Peyton won the middle school Shelby League Tournament becoming the first Briarcrest student to capture that title. This year Peyton is currently undefeated at the number three singles position. Following the TSSAA State Tournament, the sisters plan to continue their USTA tournaments in June with the Tennessee State Qualifying Tournament and the USTA Southern Tournament. Alexis and Madison will attend Mississippi State University this fall, and plan to walk-on the tennis team. 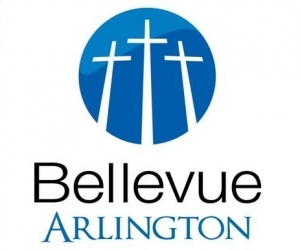 St. Benedict at Auburndale High School announced today the appointment of Caleb Marcum of Arlington, TN as Athletic Director and Head Girls Varsity Basketball Coach. In his new role, he will step down as the Dean of Students as well as the Boys Varsity Head Coach. Coach Caleb Marcum completed his fifth year as Head Boys Basketball Coach at St. Benedict this season. He guided the St. Benedict Basketball team to many successful seasons including a regular season first place finish in 2011. Coach Marcum had the opportunity to work closely with the girls team last year in practice and is excited for the future of the program. He has successfully built a summer camp tradition with NBA instruction, started the intramural basketball program known as the Talon League and has served as Interim Dean of Students while at SBA. His teams have been awarded the TSSAA Distinguished Academic Achievement Award all five years while at SBA. 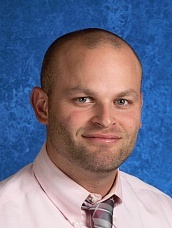 Coach Marcum came to SBA from Chattanooga, TN where he served as Athletic Director and Head Basketball Coach at Tennessee Temple Academy from 2007-2009. In his first season as head coach, Coach Marcum directed his team to winning the District 5A and Region 3A basketball championships. Tennessee Temple went on to the State Tournament in Murfreesboro where Temple was defeated by eventual champion Union City by only four points in the quarter- finals, and Mr. Basketball and UT Martin signee M.J. Brown. In his second stint as head coach, Coach Marcum led Tennessee Temple to a state-runner-up finish where they were defeated by Manassas and Mr. Basketball and Ole Miss signee Reginald Buckner. In two years, Coach Marcum compiled a record of 57-15 and was awarded District 5A Coach of the Year in 2008, while also coaching a Mr. Basketball finalist and Charleston Southern signee in Jeremy Sexton. Coach Marcum played collegiately at the NAIA/NCCAA level at Tennessee Temple University. In 2003, Coach Marcum helped lead his team to 30-4 record and eventual NCCAA National Championship in Franklin, Kentucky. On that National championship team, he received the Lefty Award for best defensive player. He also played four years of college baseball where he collected All-Region honors in 2002. Coach Marcum is married to Kara Marcum and they have three children Jade (14), Brody (5), and Bryce (3). “I am extremely excited to see what the future holds at St. Benedict. I am dedicated to winning and helping to develop the SBA athletic program as one of the best in the country. With the caliber of coaches and support from our administration, SBA has the potential of doing great things in the sports arena. It is an honor to serve SBA and help grow its athletic program,” he said at today’s announcement. A search for a Head Boys Basketball Coach will begin immediately. The Arlington HS Varsity Cheer Team shows off smiles and new white Championship jackets after winning the Game Day title. Photo by Allison Clark. 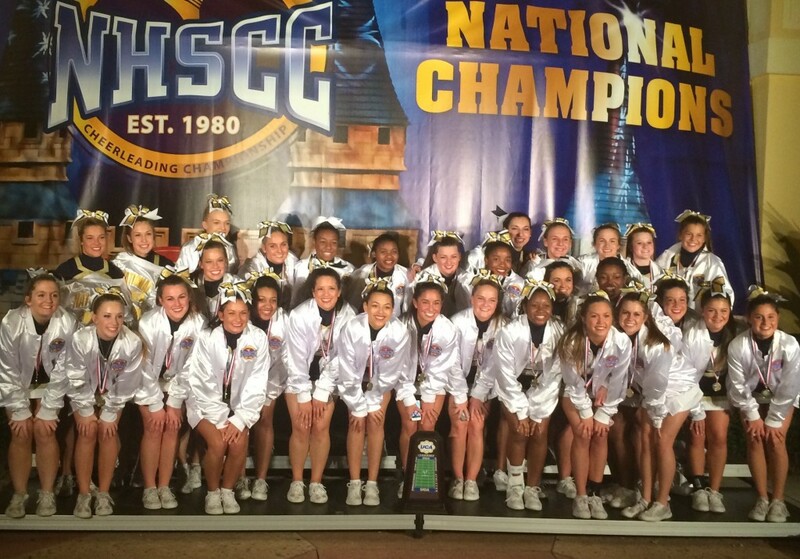 The Mid-South took Orlando by storm at the UCA National High School Cheerleading Championships on February 8 & 9 with Arlington High School’s Varsity Squad winning the Super Varsity Game Day Championships. Briarcrest Christian School won the Game Day Title in the Medium Varsity Division. 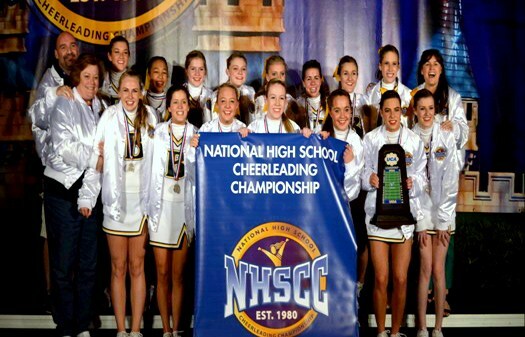 Briarcrest Varsity Cheerleaders at Nationals, including Lakeland residents Mandy Borth and Kingsley Branham. Photo courtesy of BCS. AHS Varsity also placed in the top five nationally for cheer in Super Varsity. 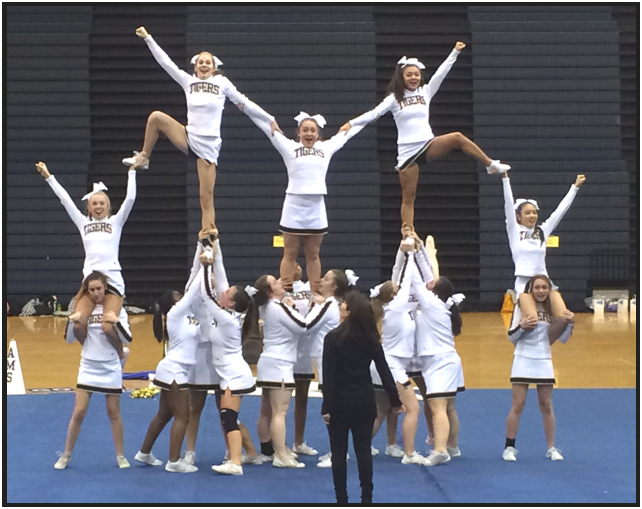 The AHS JV team, performing a routine that had to be reworked the week before nationals due to an injury, earned third place honors in Small Junior Varsity cheer. 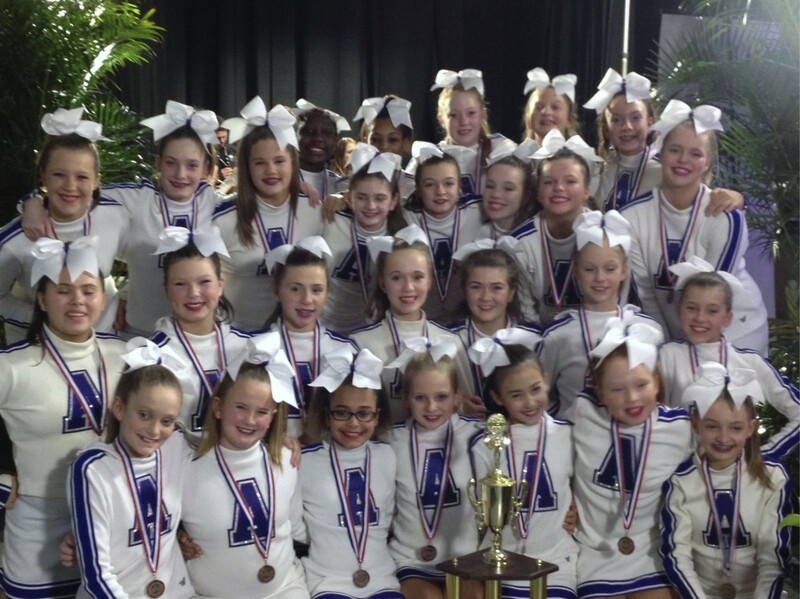 Arlington Middle School’s cheer team also received third place in the Large Junior High division, losing to Germantown’s Houston Middle School team. 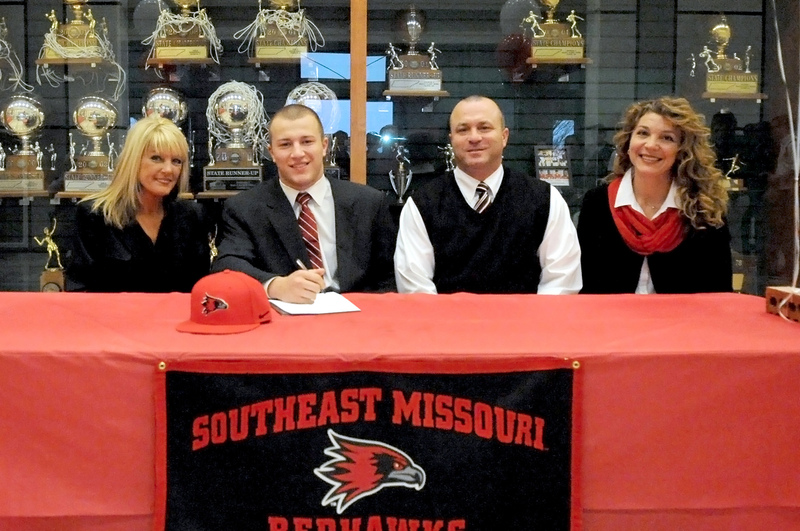 Briarcrest Senior and Lakeland resident Hunter Bledsoe signed his Letter of Intent to continue his football career next Fall with the Redhawks of Southeast Missouri today. Friends and family gathered to celebrate this important day with Hunter. Bledsoe plans to major in Accounting.